Why is social recruiting important? 1. The candidates you are looking for may not be applying. Passive candidates are not browsing through job boards and company websites looking for new opportunities. However, they are active on social media and following and engaging with brands. 2. Companies don’t get to choose the best talent - the talent chooses the best company. You really have to stand out with your employer brand and target the candidates who you actually want to have. 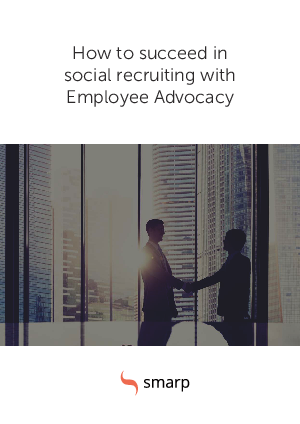 Social media plays a pivotal role in employer branding. Just like your website or business card, your social media presence says a lot about your brand.